Roy Morgan Research has released its customer satisfaction ratings for February and handed awards to top-performing businesses. Below are some of the highlights from the categories of department stores, clothing stores, airlines and banks. 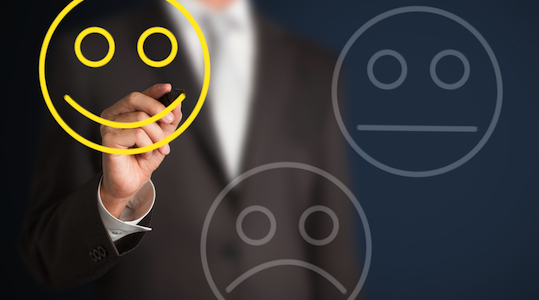 The customer satisfaction ratings are collected from Roy Morgan’s single source survey of 50,000 Australians each year. Myer: department store of the month. 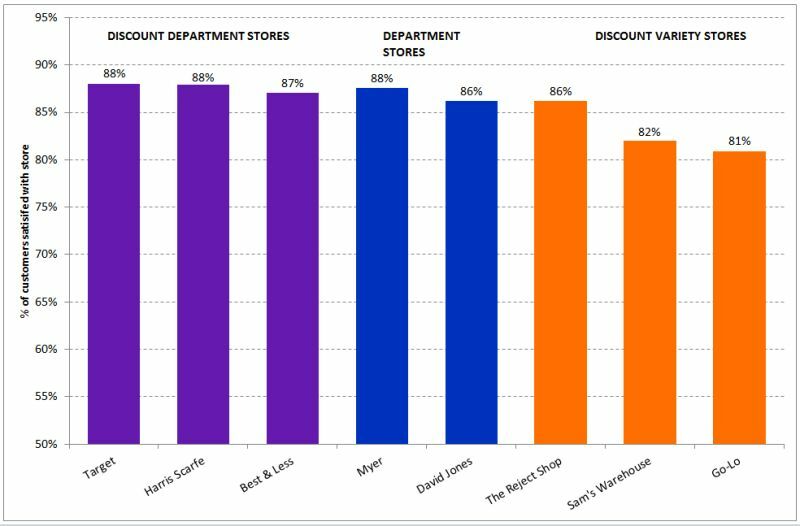 While Target has led the discount department store category for 11 out of the last 12 months, Harris Scarfe and Best & less, in respective second and third place, are close behind. Differences in customer satisfaction ratings of less than one percentage point separated the three top performers in this category. 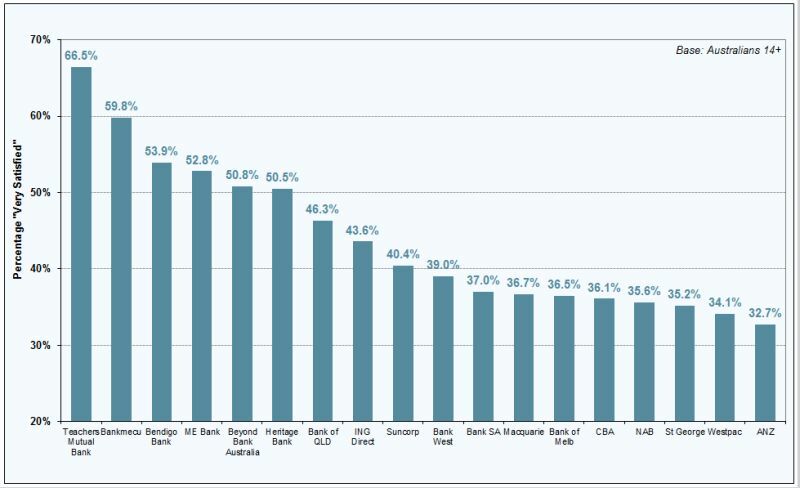 Top performer Target scored 88%, while Harris Scarfe scored just a fraction less than 88% and Best & Less scored 87%. Target’s 88% score represents nearly 5.4 million satisfied customers in an average month. The Reject Shop topped the discount variety store of the month category for the 12th month in a row with an 86% customer satisfaction score, its highest result in that time. The company has also won the annual award in this category for the past three years. In second place, Sam’s Warehouse scored 82%. In the department store category, which has only two candidates, Myer, with an 88% customer satisfaction score, came out on top for the sixth consecutive month ahead of David Jones at 86%. Rebel Sport: sports store of the month. Kidswear chain Pumpkin Patch scored 92% customer satisfaction rating, pushing ahead of last year’s overall category winner, Suzanne Grae, which scored 91%. In third place, Jacqui E also achieved 91%. The top three performers were the only retail chains out of 21 candidates that satisfied more than 90% of their customers. 11 of the remaining 18 retailers scored in the high-80s, and the lowest score was 74%. 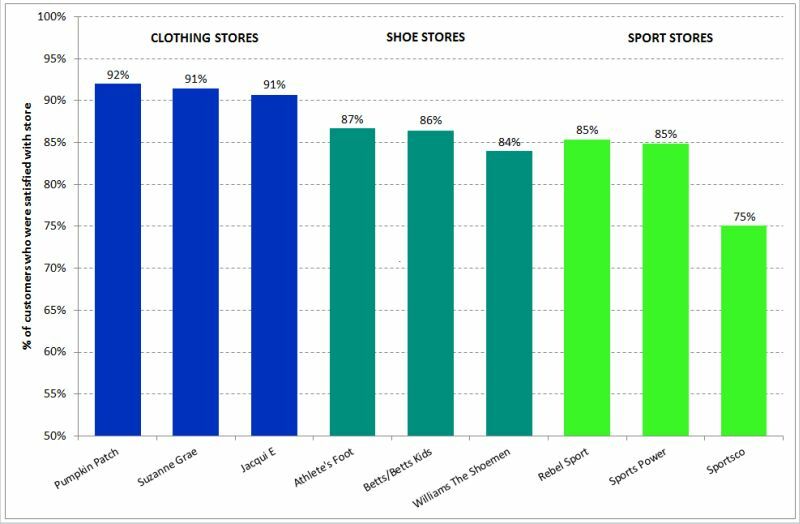 A difference of just one percentage point separated first and second place in the shoe store category, with Athlete’s Foot (87%) inching ahead of last year’s overall shoe store of the year winner Betts/Betts Kids (86%). Both stores achieved 93% satisfaction ratings from their female customers. All three sports store chains also satisfied more women than men, despite the majority of their customers being male. Rebel Sport (85%) overtook last year’s overall winner Sports Power (slightly under 85%) in the sport store category. SingaporeAirlines: international airline of the month. Qantas, winner of last year’s domestic airline and domestic business airline of the year in 2014, has maintained its lead in February. It achieved an 87% customer satisfaction rating in the domestic airline category, ahead of its regional brand Qantaslink (86%) and Virgin Australia (79%). The younger generations were particularly impressed with Qantas, with 91% of Generation Z and 89% of Generation Y saying they were satisfied. 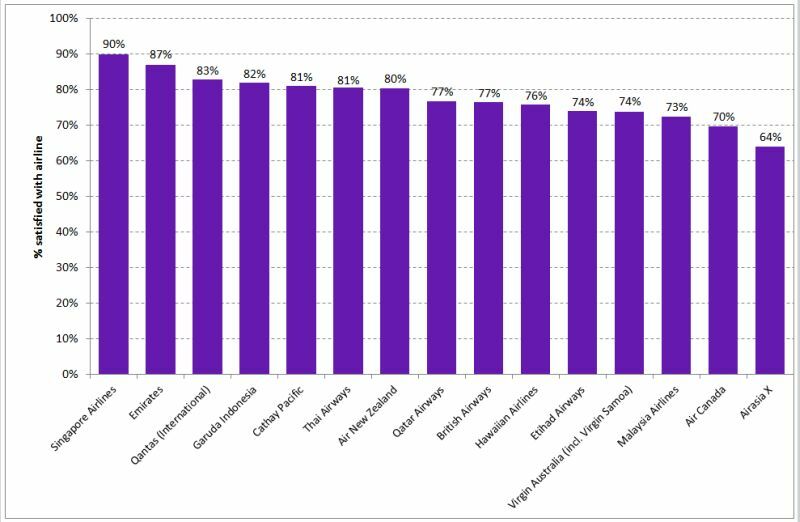 Qantas also dominated the domestic business airline category, scoring 84% ahead of Virgin (75%). 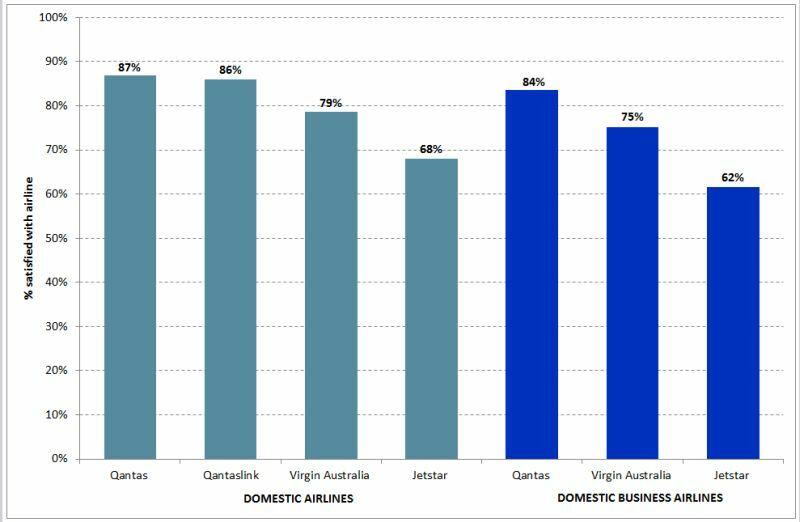 The stats show that Qantas is more likely to satisfy male (86%) than female business passengers (80%), while the reverse is true for Virgin (91% of women and 66% of men). Singapore Airlines is well ahead of its competitors in the international airlines category, scoring a 90% customer satisfaction rating, ahead of Emirates in second place at 87%, Qantas in third with 83% and Garuda in fourth with 82%. 16 percentage points separate the top 15 highest-rating international airlines, with AirAsia X coming in last. Among other competitors that failed to make the top 15, scores fell as low as 44%. Michele Levine, CEO, Roy Morgan Research, says Singapore Airlines’ high scores can be attributed partly to its quality of in-flight entertainment, seat comfort and meals. Commonwealth Bank: major bank of the month. Customer satisfaction ratings of Australian banks are at record highs – in March the rating increased by 0.2 percentage points from February to equal the 20-year high of 82.9% recorded in January, an increase of 1.1 percentage points over the last 12 months. 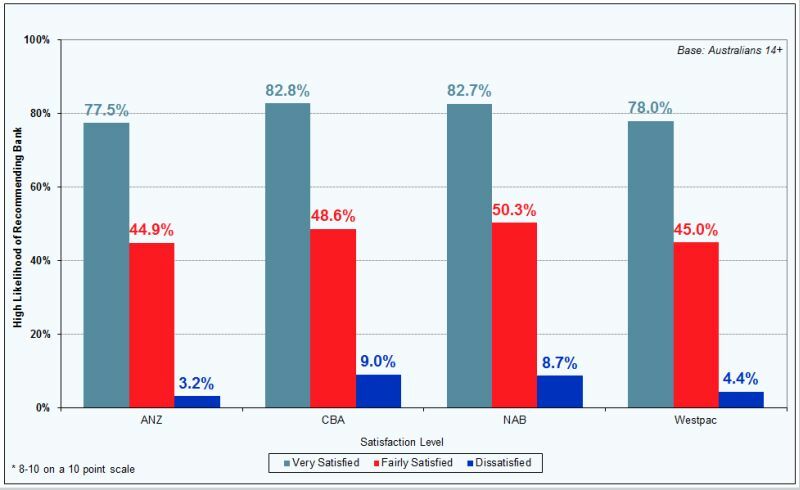 Smaller banks have improved their satisfaction ratings even more than the big four (1.8 percentage points up compared to 0.9 percentage points up). Overall, the ‘other banks’ reach 86.6% customer satisfaction, a seven percentage point increase on the 2005 score of 79.6%. Despite these strong scores, a strong difference exists between customers who say they are ‘very satisfied’ compared to those who are ‘fairly satisfied’ – the first group are far more likely to recommend their bank to others. About 80% of big four customers who are ‘very satisfied’ are ‘highly likely’ to recommend their bank to others, while ‘fairly satisfied’ customers are about 50% likely to recommend their bank.